I made it back to Carbondale safely on Tuesday (January 7) and am now at training week for the Daily Egyptian. Since we are publishing an intersession edition during training week, I had to find "main art" (a feature) for the paper. I met a woman and her three children who were sledding on a sunny, yet very cold afternoon. Jessica Pease, of Carbondale, sleds downhill with her son James, 2. Norah, 7, sleds downhill as snow kicks up in her face. 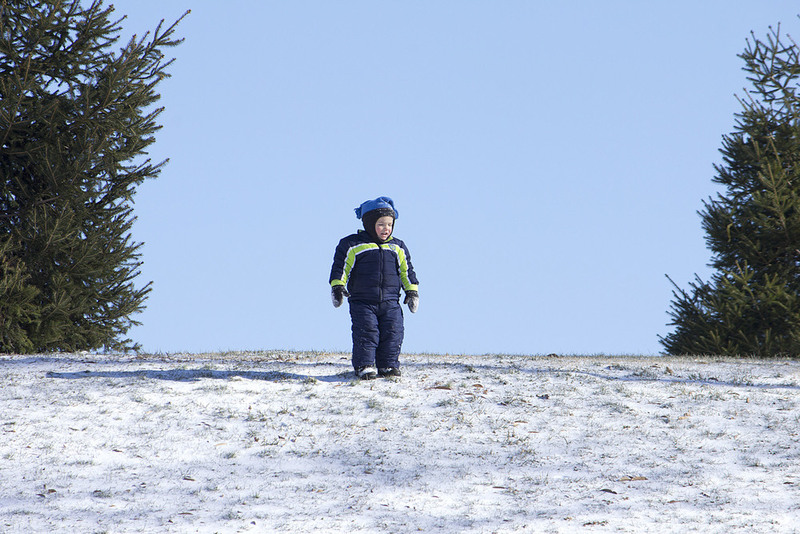 James watches from the top of the hill as his sisters Norah and Ingrid race on their sleds.